The Definition of Us by Sarah Harris - Florence is pretty sure she's not got much in common with the other patients at Manor Lane Diagnostic & Therapy Centre. Wilf has ADHD and a tendency to punch doors, Andrew's ASD means he likes to run to a schedule as precise as a Japanese train, and Jasper would be far too perky if it wasn't for his moods at mealtimes. It's only when Howard Green, the centre's psychotherapist goes missing that they start to share some common ground. They've told Howard things they've never told anyone before. They trusted him and were making progress. Starting again with someone else is an unbearable prospect. Together the four of them decide that they need answers and set off on a roadtrip, vowing to track him down. From Goodreads. 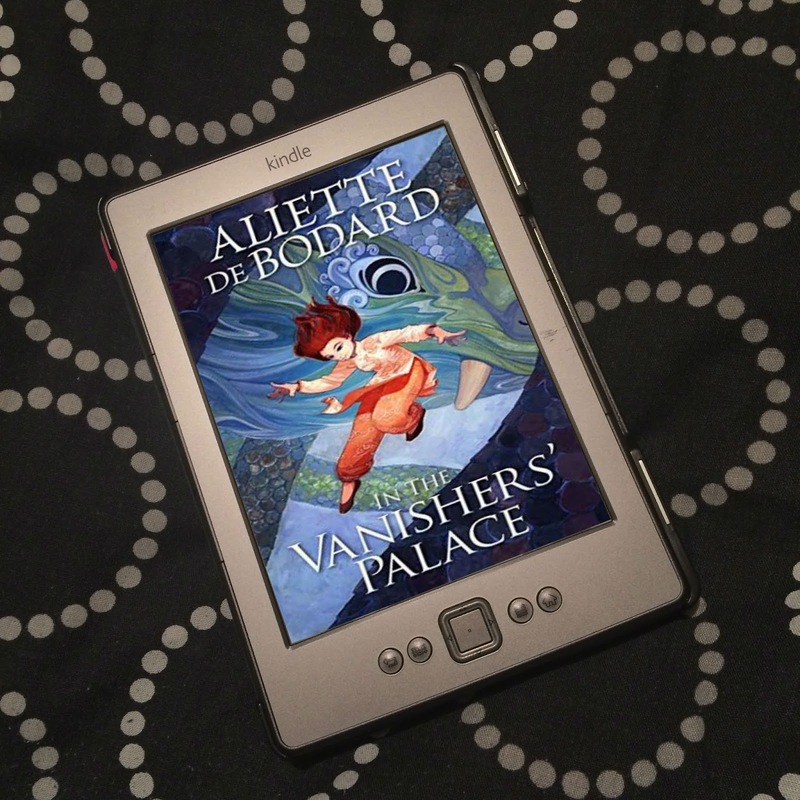 I received this eProof for free from Piatkus via NetGalley for the purposes of providing an honest review. Trigger Warning: This book features discussion of suicide. 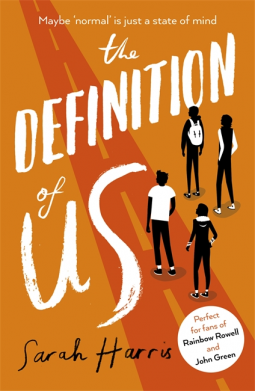 The Definition of Us by Sarah Harris sounded like it would be right up my street, but unfortunately, I found it very disappointing. When the patients at Manor Lane Diagnostic & Therapy Centre are told that their psychotherapist Howard isn't going to be at their therapy sessions for the foreseeable, Florence, Wilf, Jasper and Andrew are left feeling lost. Howard is the only person they've really been able to talk to, the only person who has helped them. Worried that something might be wrong, the four decide to try and track him down to make sure he's ok. On their journey, the four form a friendship they never thought they would, as they are all are so different. So, firstly, the story is unrealistic. These four teens, who don't really know each other, decide to take it on themselves to go and find Howard. Andrew, who has ASD and needs routine, and is having trouble dealing with Howard's disappearance the fact that he isn't going to have his therapy sessions when he's supposed to, manages to convince the other - though it doesn't take much - to go and find Howard on their own. There is very little conversation about it, very little thought about how it might not be a great idea. Very soon, they're off, on their way to search for him, with the belief that he'll be at his sister's in Cambridge, after overhearing a conversation between the staff. Then there's the fact that, in the great scheme of things, not a huge amount happens. Yes, it's a road trip kind of story, but still, there are meant to be things that happen along the way, to keep you interested. I think maybe two things of any real note happen. Mostly, it's just conversation. And this is the major problem for me: the whole story felt forced and unnatural. The heart-to-hearts the characters have felt very patronising; those trying to comfort others saying cliché things that mean very little. They're meant to actually care, but it's just not believable. It's all surface concern, but doesn't feel genuine. Then there are the characters themselves, who, for the most part, do not feel like real people. They're aged between 16 and 18, but they all felt so much younger - the whole story felt like it was aimed more at 13-year-olds, and written for 13-year-olds whose intelligence the author had made assumptions about, and dumbed the writing down for them. We learn very little about the characters as people. There is no chemistry of any kind between them, not even for friendship, let alone the romance that is supposedly blossoming between Florence and Jasper. I did not believe in any of the relationships, that any of them genuinely cared about the others. There doesn't seem to be much depth to the characters, or to the story, and I felt like even their mental illnesses and other conditions are really explored properly - accept for maybe Andrew, but part of me thinks that's only because he has ASD, and so he has to be seen to be acting/reacting/thinking/behaving differently from what we're used to. He seemed like the most fully-formed character, and yet, beside having ASD, all we really know about him is he's interested in maths and science. That's it. The only other character that felt somewhat real is Wilf, because he had some personality. He can be inappropriate and bold, he gets wound up fairly easily and is honest with it, and he makes some amusing comments. But it's the fact that he has anger issues that makes him seem more real than the others, because he's reacting all the time - even though, to me, he just seemed to get annoyed a lot. I wouldn't have said he had anger issues. So again, it's where their conditions are not explored enough. If I didn't know already that Wilf had ADHD, there's nothing in the story that would make me think there was something about himself he was dealing with. But onto the mental illnesses covered, and the discussion of mental illness. Florence has depression, and Jasper has anorexia. For the most part, unless they were particularly talking about or focusing on mental illness, none of them really seemed like they had a mental illness. 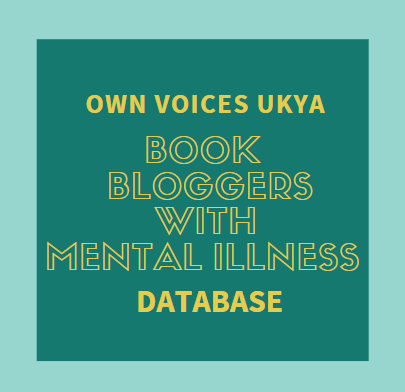 Of course, there is no "right" way to act when you have a mental illness, but having read a number of books on mental illness now, most of these characters don't show many of the symptoms you'd expect. They seem fine, until they're talking about it, or Florence is thinking back, or thinking about someone else's mental illness. When they are, though, there are some interesting things said or thought about, but it still doesn't go into that much depth overall. Here is Florence thinking about her depression. 'In her twelve weeks at Manor Lane she'd come a long way. Fortunately Jasper hadn't seen her when she first arrived. When she was switched off and just wanted to be left alone. At that point she didn't communicate, she rarely washed her hair or changed her clothes, she didn't taste the food that was put in front of her. What was the point? In an of itself, this is really insightful, and I guess also shows how treatment and therapy can help. But other than being worried about an anniversary that's coming up, there's no other real discussion of her mental illness. The Definition of Us may not be specifically about mental illness, but it's about finding their psychotherapist because they have issues they need his help with. But on the whole, they're only touched on, once or twice maybe. I just expected more. Here's Florence thinking about Jasper's anorexia. 'On Jasper's second day at Manor Lane, Wilf had made a typically inappropriate comment about the calories in the chocolate bar Jasper was eating. Jasper countered it by pointing out that he wasn't actually anorexic. Instead he described himself as "a bit fussy" and said with what sounded like false bravado that he "functioned better on an empty stomach". Again, there are a few interesting conversations about mental illness in general, but again, they're just touched on. '"It's like, as soon as people know you've got problems it's all they see. They don't take the time to find out what you're really about." "Yeah, I get that," Florence said. "People are either scared of talking to me or they're asking if I'm okay all the time, like I might just crack up in front of them. Even my own parents. No one treats me like a normal person any more. I can see it in their faces when they talk to me. They're thinking, you're that depressed girl. It's all they see." '"...What of he's ill, or depressed, or something?" "Hmm," Wilf screwed up his face. "I dunno. Howard's not the sort to be depressed or anything like that. He's sorted. He's got an answer for everything. He'd just psych himself back on the straight and narrow." "I'm not so sure," Jasper said. "He told me once that he had depression and anxiety before he went to university. That's why he wanted to be a therapist." '"And I'm coming to the conclusion that we're all surprisingly normal." "You're right, you know. I never felt normal till I came to Manor Lane." "Me too, but what about when we're not in Manor Lane?" He shrugged. "I feel normal right now." "Then maybe normal is just a state of mind?" "Or maybe normal is everything and everything is normal?" "You've totally just expanded on the definition of normal." '"[Wilf] is your friend," Jasper said firmly. "We all are." Andrew sniffed and wiped his nose on his sleeve. "Why don't you take me seriously then? "Wilf was pacing. "Oh, believe me, I take you very seriously, Andrew. ""Not how I feel about things. You think that I'm autistic so that means I don't care about stuff but I do. All I've ever wanted is to have friends like everyone else. Friends I can trust not to laugh at me or treat me like I'm nothing." Wilf looked like he was going to argue but Andrew continued. "At school the only kind of friends I made were the sort who'd talk about a party and invite me but then give me the wrong address on purpose. Friends who'd do things to wind me up so they could watch me get in trouble. Friends who'd write swear words in my notes and change my name to Android in the school paper just before it got send to the printers." Wilf made a noise like a snort then quickly cleared his throat. ...but at the same time, there isn't a huge amount more to Andrew. He is his ASD. And it kind of felt to me that he was used on occasion to create humour. Not that we were laughing at him, but that he would say things he probably shouldn't and create awkward, humorous situations - like when he mentions he didn't think Jasper was gay because of how he acts around Florence. And although we're not laughing at him, it did feel like he and his ASD were used to create awkward, funny situations. Like the author thought, "Ok, we need something funny to happen now. Let's have Andrew say something no-one else would." Which is really unfair. Sure these things may happen in real life, but don't use the autistic character to create humour. 'Andrew looked impatiently at Wilf. "Megan's not my girlfriend. She's gay." Wilf's eyes widened. "Seriously? Wow, what a waste. Bad luck, mate." "I'm sure her girlfriend doesn't think it's a waste and anyway, I don't see how it's bad luck. I don't want a girlfriend." Wilf's eyes grew even wider. "You want a boyfriend?" It's always good to see asexual rep, so this was pretty awesome. However, overall, The Definition of Us was a huge let down. To me, the whole story felt like it was written with a teenage audience in mind, and wrote in what they thought would be their level. It was pretty embarrassing, really, and so difficult to read without feeling so frustrated. This could have been such an incredible book if it wasn't so patronising, and if it explored the characters, their conditions, and their home lives in more depth. It was just really not for me. However, a lot of people seem to have loved it, so do read some other reviews before deciding whether you'll read it or not. 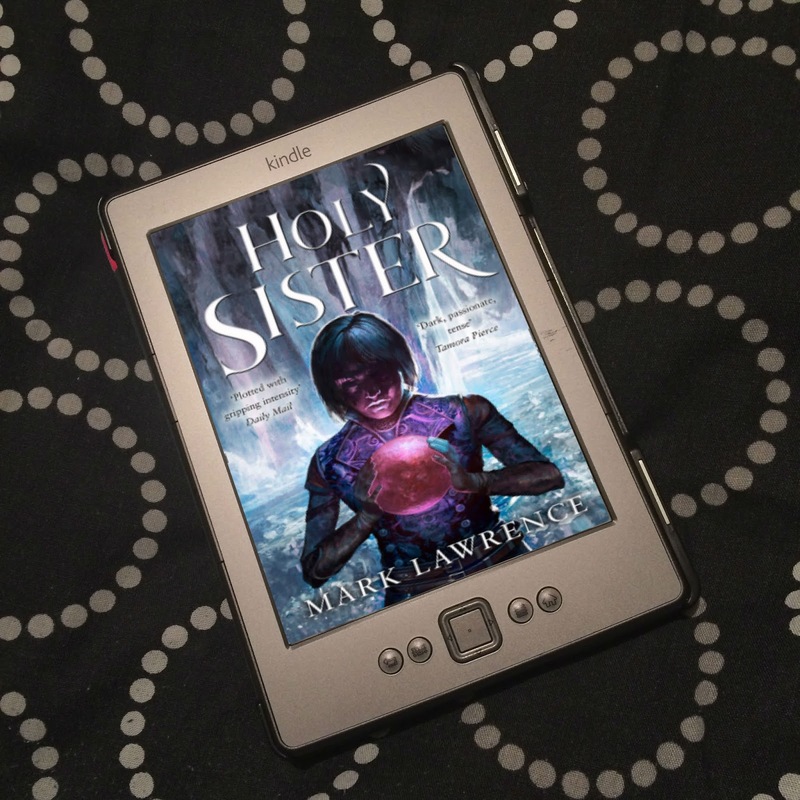 Thank you to Piatkus via NetGalley for the eProof. I just wasn't a fan of this book at all. So I think it's cool that you actually found some positives. And I read it that they weren't actually in a hospital hospital? That it was more of a day thing, and they would go home at the end of the day, and had the weekends for themselves. That's what I thought anyway. I don't think it was so much that Andrew was faking OCD, but rather that he let people who already think he has carry on thinking it, so he could continue going to Manor Lane. But yeah, no-one seemed to have a huge amount of problems bar Andrew, really. It just felt quite flat for me. Really wasn't a fan.